Being the new girl in class is nerve racking. Being the new girl in class and country is scary. Being the new girl in class and country with a mother like mine is a recipe for disaster! The last thing I wanted was to stick out like a sore thumb. Suppressing my inner cool kid, I allowed my mother convince me that an ankle length, ill fitting skirt suit was the way to go. I looked ridiculous but it was okay, everyone else would too right? As soon as I walked through the school gates I knew I was in trouble. I felt like an idiot…and looked it too! The only girls I saw with skirts below their knees had their heads bound in scarves. For them it was a religious requirement. What was my own excuse? Great. I was the ridiculous looking girl with the name no one could pronounce. I needed to come up with a plan and quickly too. I decided the best thing to do was to blend in with the wallpaper. I scuttled to a corner of the room and ignored everyone. When anyone tried to talk to me, I gave them the sorry-I-don’t-speak-English look. I must have looked even more foolish but I had it all figured out. As soon as school was out, I raced to the mall. Money was not an issue; my reputation was at stake. I bought the funkiest skirt suit I could find; navy blue with light blue pinstripes (from Dorothy Perkins). I will NEVER forget it. The jacket fit like a glove and the skirt…let’s just say my mother would have been horrified. Right, we’ll try this again tomorrow. None of them looked like they recognised me from the day before. 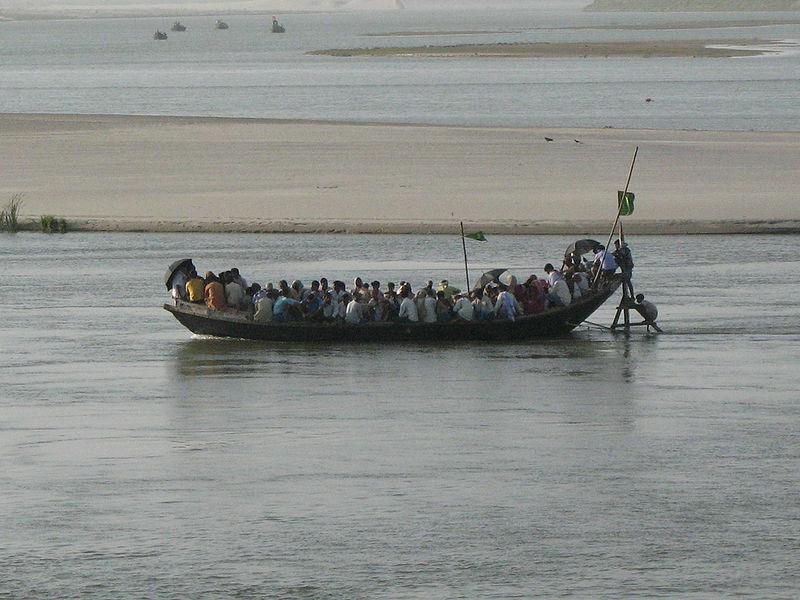 Pic is copyright of Manoj Nav (http://en.wikipedia.org/wiki/File:A_boat_in_India.JPG). Let nobody sue me. I have not the funds to partake in such activities! it was only abt five years ago I managed to stop my mum from buyin me clothes. she gets angry n unhappy wen I don’t appreciate dat d top is from louis vitton. As far as she was concerned then I was straight from d boat n she was my saviour! I do miss certain things though but not dat horrendous LV top. Seriously used to hate dat phrase off d boat. Girls at college used it 2 many times and since I was new I was constantly defending it by saying its air planes we use now not boats. This is really funny, knowing you I’m not surprised at the trasnformation from SU to NY (New You). Odd as it may seem, I remember the phase JJC (Johnny Just Come) thrown about when I casme to study, whcih took me aback since I was in the UK and not in gidi, but I guess for some you could take them out of Naija but you could not take Naija out of their system.